The 2019 Lenten season begins on Ash Wednesday, March 6th, for Latin-rite Catholics with Easter Sunday on April 21st. "During Lent, we are asked to devote ourselves to seeking the Lord in prayer and reading Scripture, to service by giving alms, and to sacrifice self-control through fasting. Many know of the tradition of abstaining from meat on Fridays during Lent, but we are also called to practice self-discipline and fast in other ways throughout the season. 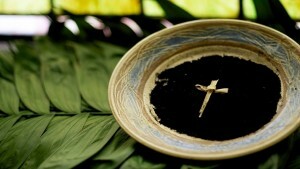 Contemplate the meaning and origins of the Lenten fasting tradition in this reflection. In addition, the giving of alms is one way to share God's gifts—not only through the distribution of money, but through the sharing of our time and talents. As St. John Chrysostom reminds us: "Not to enable the poor to share in our goods is to steal from them and deprive them of life. The goods we possess are not ours, but theirs." (Catechism of the Catholic Church, no. 2446). Catholics are also encouraged to make going to confession a significant part of their spiritual lives during Lent. The U.S. Bishops' statement, "God's Gift of Forgiveness: The Pastoral Exhortation on the Sacrament of Penance and Reconciliation" can be distributed and shared in parishes. Dioceses are encouraged to make the sacrament available often during Lent and to use these resources to promote participation. We also have resources to help individuals who have not been to confession in a while "rediscover" the sacrament."